In 2017, dogs are cherished as children, cats are internet superstars, and people keep horses, not to ride, but just to walk in the forest with. Animals are now so seamlessly integrated into our contemporary lives that many of us forget: as recently as a generation ago, it was not so. Why the profound cultural shift? As the hyper-connected milieu of our digital world intensifies, a counter current of well-being is more prominent in our culture than ever before. Arguably, of all the gateways available, from mindfulness to digital detoxes and yoga, connection with our own animals offers us one of the most intimate, natural, and readily available avenues to open-heartedness and joyful presence. For animal relationship photographer Diana Haskell, connecting creatively with animals is more than an artistic career born out of a lifelong love of nature. It is a deeply personal path to health, whole-hearted living, and service to others. Diana’s journey came full circle in 2010. Already working as a professional photographer, the eureka moment came while photographing a friend with his dog. When she saw how meaningful the handmade book she had compiled for him was, she knew that her imagery had touched into something deeper. Beyond the biography of a talented fine art photographer, the Diana Haskell story is a remarkable journey resounding with personal experience and universal teachings from profound masters—human and animal alike. 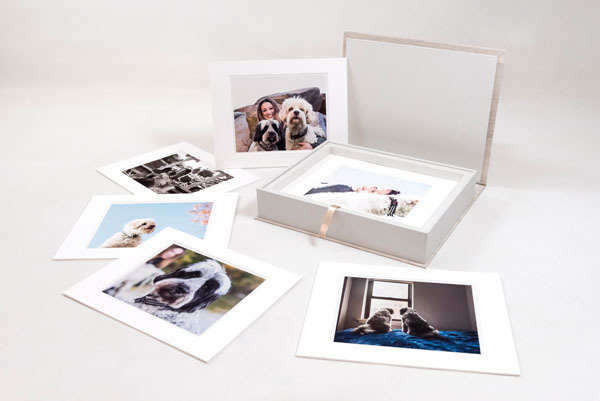 Ultimately, Diana’s tale, as well as the tales she helps her clients realize through her photography and accompanying narratives, bears witness to humanity’s love for animals, infusing all who come across it with joy, gratitude, and peace.